French Farmhouse style…there are a few essentials that I find give the look and feel. In the spring I always have a hankering for travel and that wanderlust to get back to France. THIS ONE, belonging to a well known artist. We can always infuse some of that farmhouse style into our homes and French farmhouse is something that I love and will share a few tips today. Why French? It seems to have more of a relaxed and informal atmosphere than traditional American farmhouse and as we know, France is a much older country filled with incredible traditions that have stood the test of time. I’m so fortunate to have been studying the language for the last several years with a once a week lesson that includes lots of history from a great French girlfriend that lives close by. 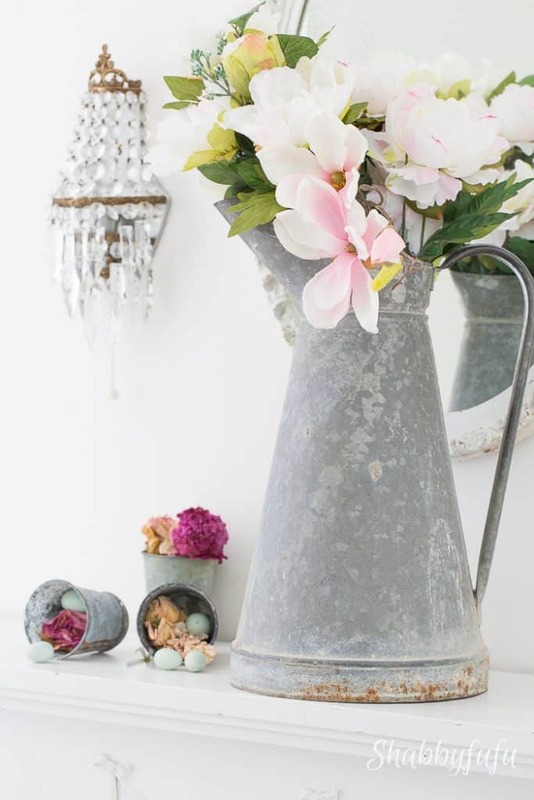 A crusty paint bucket with lots of patina is perfect for spring and exudes farmhouse charm. When traveling in France you will sometimes find old paint buckets for sale very inexpensively and if you want to replicate the look…this one was given a beautiful faux treatment by my friend Matthew Mead. He used Saltwash paint additive and you can learn more about the process HERE and pick some up to try HERE (affiliate). 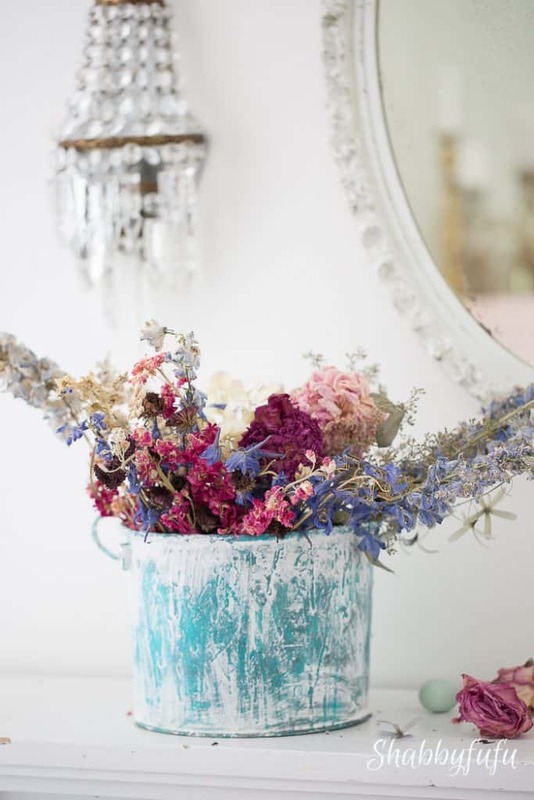 Dried flowers that are rich in color fill an old bucket well. 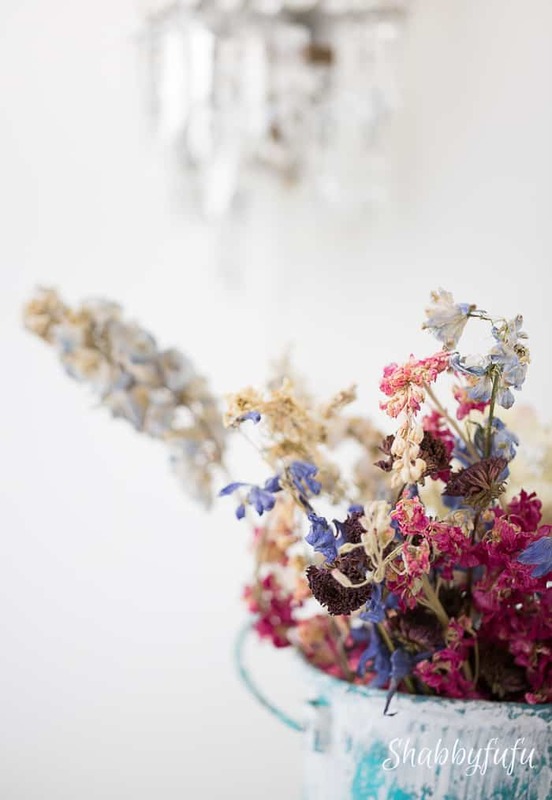 I don’t do anything special to dry them…just leave them out of direct light. 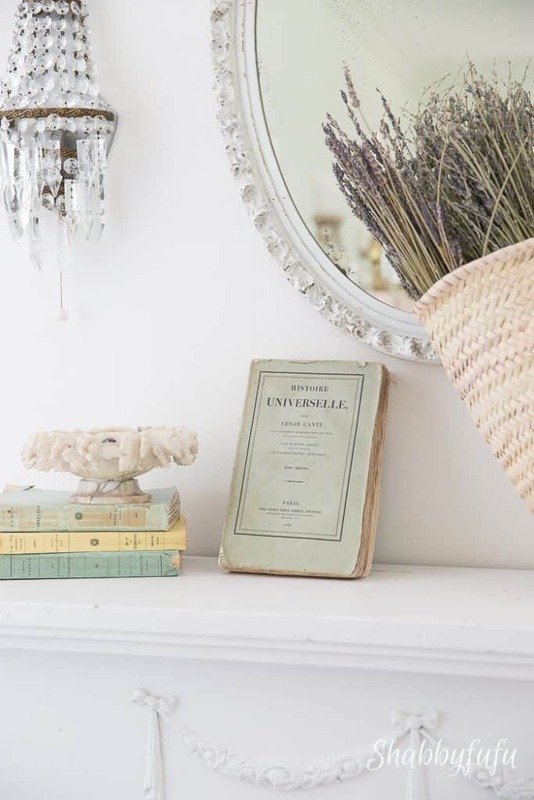 Old French books are a pretty obvious way to add French farmhouse style and I have some in pastel colors that speak SPRING. If you don’t you can try your hand at painting paperback books and perhaps add a graphic from The Graphics Fairy who has many free French graphics in her collections. Marble is quintessentially French…just think STATUES and building facades. Look for some marble pieces at thrifts or vintage shops because you will generally find something! 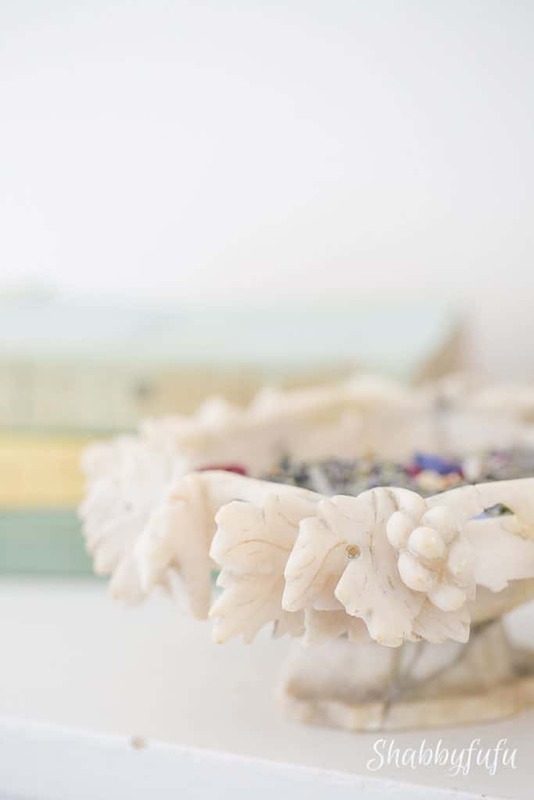 I’ve had this marble alabaster compote dish for years. 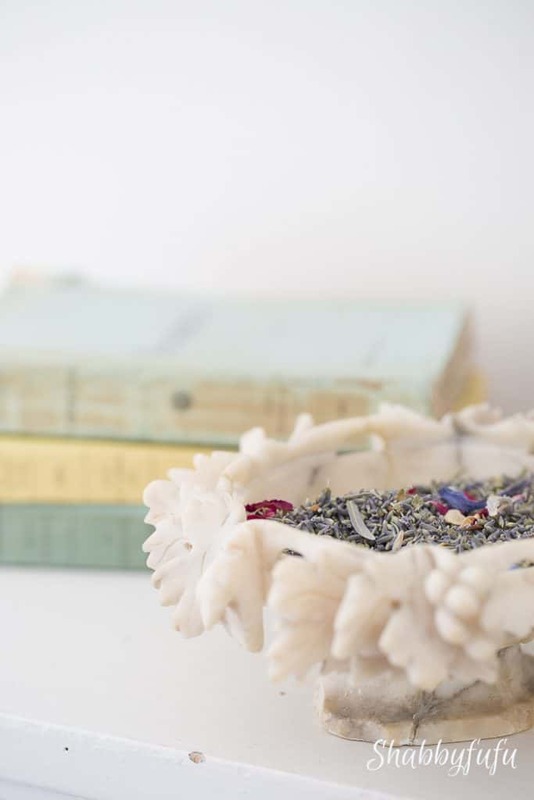 A sprinkling of fresh lavender buds make this room smell like a morning in the fields in Provence. The French are known for taking every sense into their every day living and scent is a big one for them. 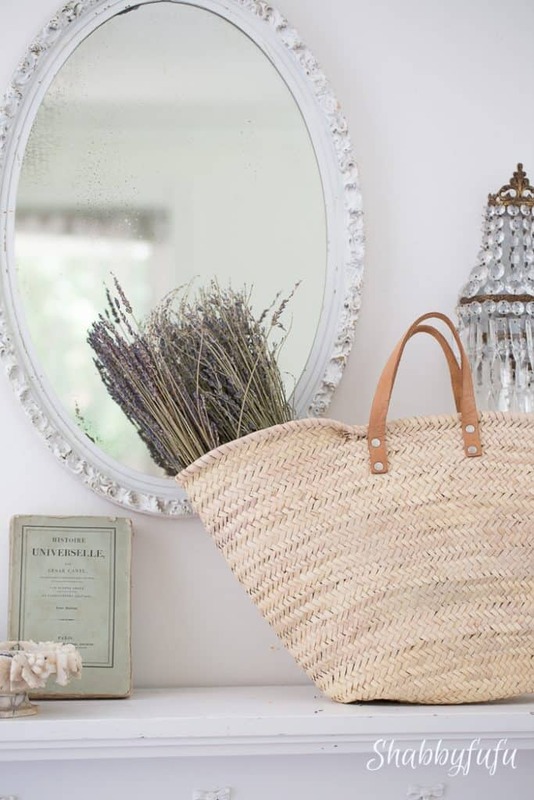 A basket is a great prop for the farmhouse feel…and this one just happens to be a French market basket. They are much easier to find than stuffing it into a suitcase I had done years back. HERE is a U.S. based seller that I found with a VERY reasonable price! You see it on the rooftops all over Paris and in every day objects like these. I’ve again added dried flowers, faux flowers and some robin’s eggs from the craft store. Again…easier to source and I found THIS PITCHER from a U.S. seller and some French zinc seedling pots HERE. I love this look on my mantel for spring and it’s staying put for awhile. These are some of my very favorite props and I normally have them stored away in my pantry until Spring. 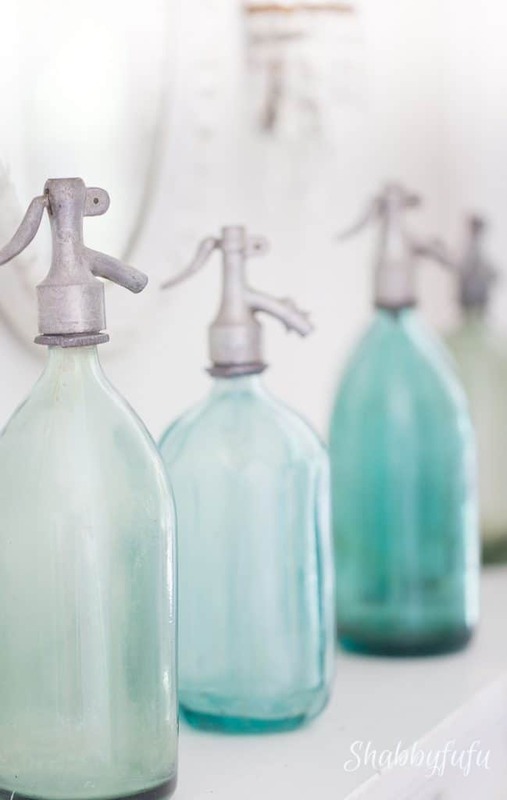 Loving the color of these VINTAGE FRENCH SYPHONS! Another U.S. based seller…and reasonably priced. Find them HERE. Do you have any questions or ideas for adding FRENCH FARMHOUSE STYLE to your home? 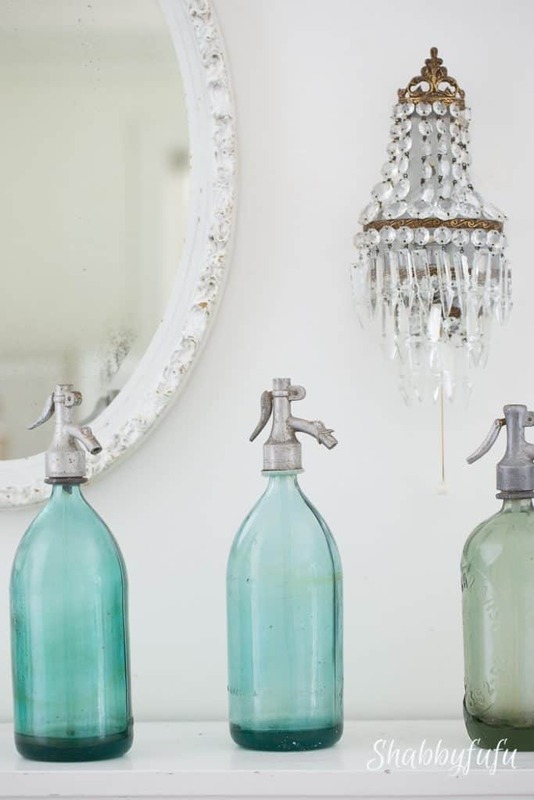 You don’t need a mantel, just use some of these suggestions and decorate a shelf or sideboard! 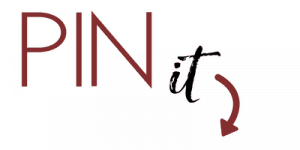 If you enjoyed this post, I’d love to have you subscribe. 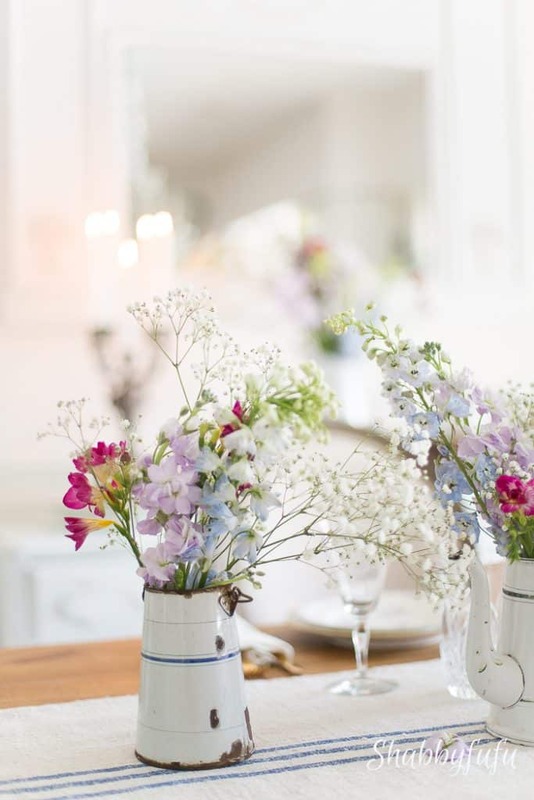 You create a French Farmhouse look in your home so beautifully and with such ease and grace! Always appreciate all of your visits to the blog and that you take the time to leave comments Norma. Have a wonderful day! Hi Janet! 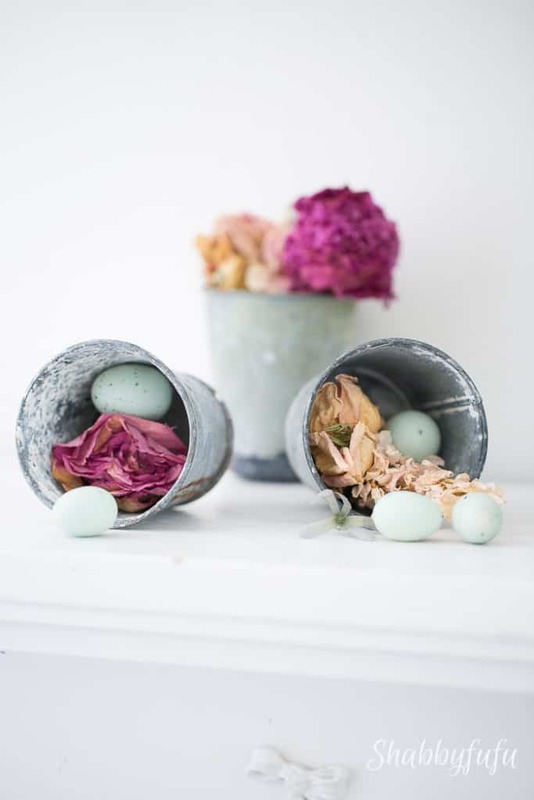 I so love the way you decorated with the zinc, flowers, and little Robin’s eggs! Those colors are some of my favorite! Absolutely beautiful! Just now getting around to seeing your posts since we were in Disney for our son’s wedding! Thank you for sharing!